First, we got into the bus and rode for about 3 to 4 hours and when we reached there, everyone was thrilled to go on the boat because for many people it was their first time to experience this amazing thing. In the boat everyone was just chatting away! We just really wanted to reach first and be the first to reach Camp Koyna. Next, we had lunch which was fried chicken, papadoms, strawberry chocolate sticks, dal and rice. It actually was really well made and it tasted amazing. Mr Monish (our instructor) said that we were going to turn to bring our suitcases down from the buses into a game. We went into our rooms to get ready for our next activity, which was to make a map of Camp Koyna. To do that we were to divide ourselves into groups of six. 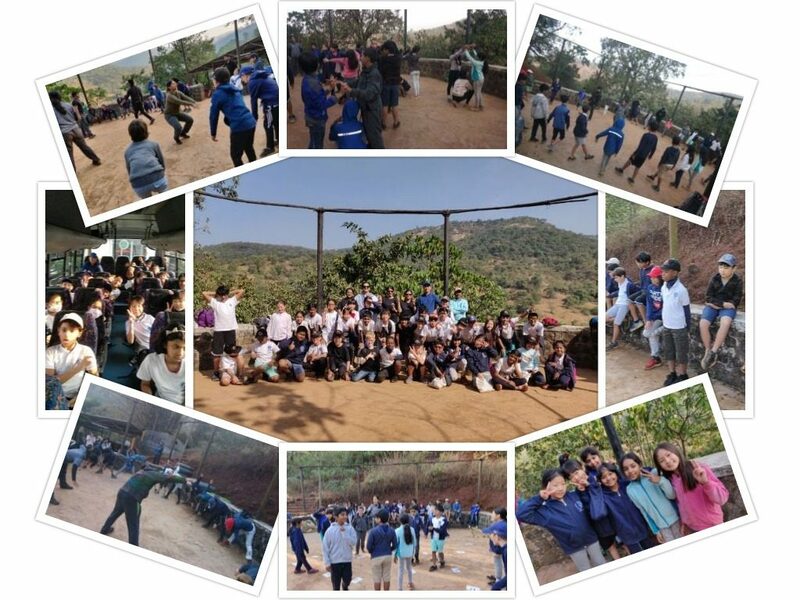 We then explored the Camp to make a map of the Koyna forest. After we explored the Camp, we got started on our map and when we finished. we presented it to everyone at the assembly point. We were just one activity away from going on our night trail now. We were now going to do rope activities and tent pitching. We were split into two groups with 3 teams in each. One group went for rope skills and the other went for tent pitching. Then the groups switched activities. When we finished our activities, it was time for our evening snack and free time and after that was dinner. For dinner, we ate pasta, soup and more! Then it was time for our night trail. On the way we saw a village and there was a temple. In the temple, some of us prayed to God and got our blessings. On the night trail, we spotted funnel web spiders and we saw a Nightjar. Then we headed back and the walk was much shorter than before to our surprise! Finally, the day ended and we went off to sleep. We were surprised to find out that the nights were freezing cold. We could still feel the cold through the blankets, which were not helpful but then in the morning we realized we should have worn a jacket or asked for an extra blanket. In the nice but cold morning, we woke up at 6; 30 am and we had milk and cookies for a quick snack and then we were off to a bird watching trail We spotted birds such as Bulbuls, Wrens, Kingfishers, Sunbirds, Brown doves and Herons. We even saw two gigantic spiders and a poisonous flower. We stopped by the lake and sang a song. We felt it was very quiet and peaceful during the entire adventure. When we returned we found out that we had almost taken a full circle around Camp Koyna. Once we reached the campsite, we had breakfast. For breakfast, we had pancakes with chocolate syrup, french fries, chicken nuggets, yoghurt and some fruits. 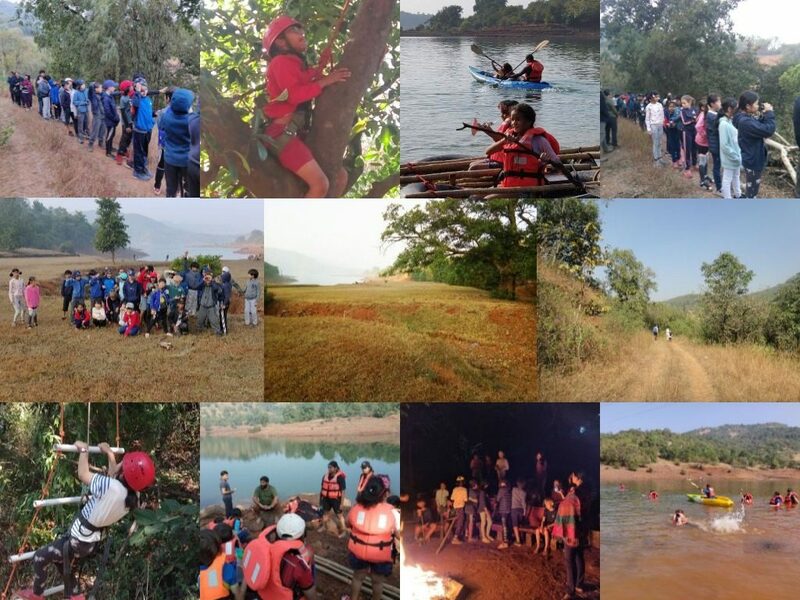 After the delicious breakfast, we were energised so one group went tree climbing and laddering, and the other group went kayaking, rafting and swimming. It was scary, exciting, awesome, amazing and kayaking was possibly the best activity for most on the field trip. After over an hour both groups met up in the cafeteria and had lunch. While we were waiting for the next activity we had free time before switching activities. Soon it was time for evening snacks! Once we had our evening snacks, we gathered around the bonfire that was not lit yet and we made music out of nature. We did this by gathering materials such as sticks, stones, leaves, hay, tins, rocks and bamboo sticks. It was time to practise music for the songs that we created. We had our tasty dinner and then we presented the music to the whole class. The bonfire was already lit by the time we came back. We ate roasted marshmallows on sticks and went off to bed. The next morning we were ready to have milk and cookies. Then we had our morning exercise, sang songs and played a game called Save the World. The team who won in Save the World got to eat breakfast first. After breakfast, we packed our bags and we had to leave Koyna. Instead of going on the boat half way we had to go on the bus. 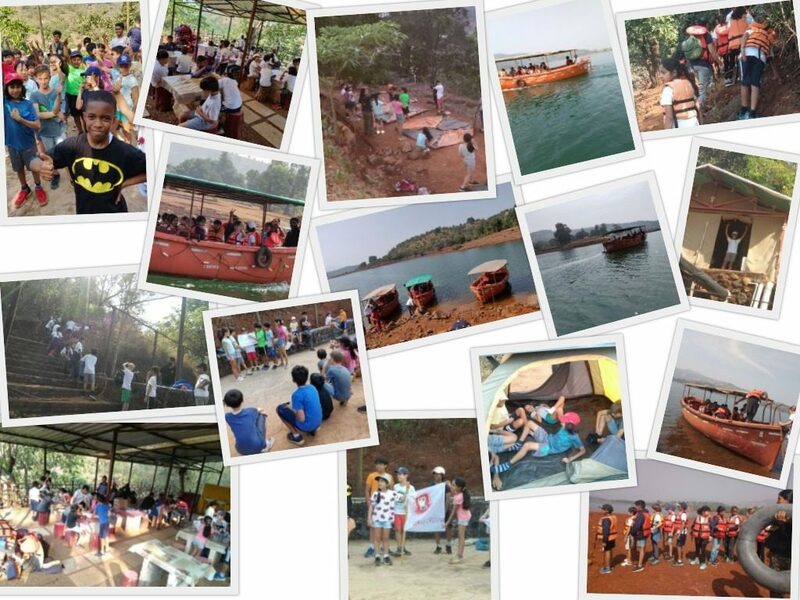 We will never forget the amazing experience of Camp Koyna as we had lots of fun and we learnt a variety of different things such as tent pitching, nature, kayaking, survival skills, raft making, tree climbing, making music with natural objects and climbing a vertical ladder. We also learnt self-management skills such as organising ourselves in tents, gross motor skills such as tree climbing, listening skills when we listened to the safety instructions, social skills when we worked in teams. We were communicators when we presented our work. We were risk-takers when we swam, climbed trees and went kayaking. We had to be open-minded when we had to share the tents and work in groups. We will miss the naturistic feeling we got from this wonderful experience. A rap created by Pranjal with the help of Hyerin, Nina, Sonali, Ritvik, Lukas. Full of nature and space. The center point is the round. Served with marshmallows and spice. And then call it a night. Like swim and race, swim and race, swim and race.